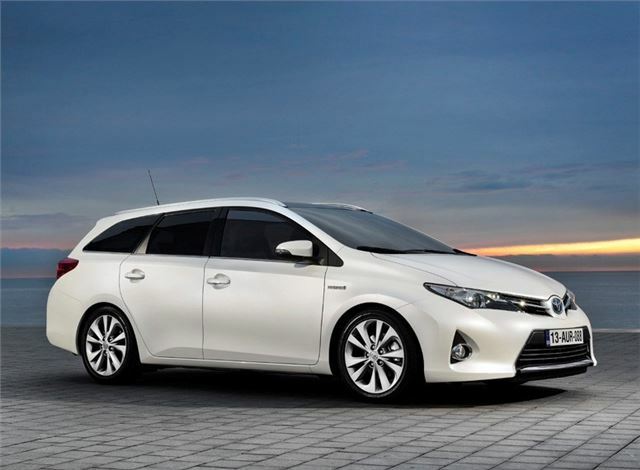 The recently launched British built Auris range is due an addition in the form of the new Touring Sports, an estate variant. Key features include a maximum load space volume of 1658 litres, one touch fold flat rear seats and a double-level load space floor. It’ll make its debut in production form at the 2013 Geneva Motor Show. With the rear seats in place there is 530 litres of load space, which can be extended to 1658 litres – more than the Ford Focus - while the boot lip is 100mm lower than the hatch to improve access. Engines are the same as the hatchback model – there’s a 1.33-litre petrol, a 1.6-litre petrol and a 1.4-litre diesel, as well as a 1.8-litre hybrid, which emits 86g/km of CO2. Prices are yet to be announced but you can expect hike of around £1000 over the equivalent hatchback, which is priced from £14,495.